The Shoptelligence STyle Discovery Platform easily integrates into your site and into the e-commerce ecosystem. What is Style Discovery Experience (SDX)? STyle Discovery Experience is a collection of innovative companies whose focus is to make shopping and style fun again. Some solutions combine inspiration with shopping, others focus on merchandising yet the shopping experience remains fragmented and impersonal. 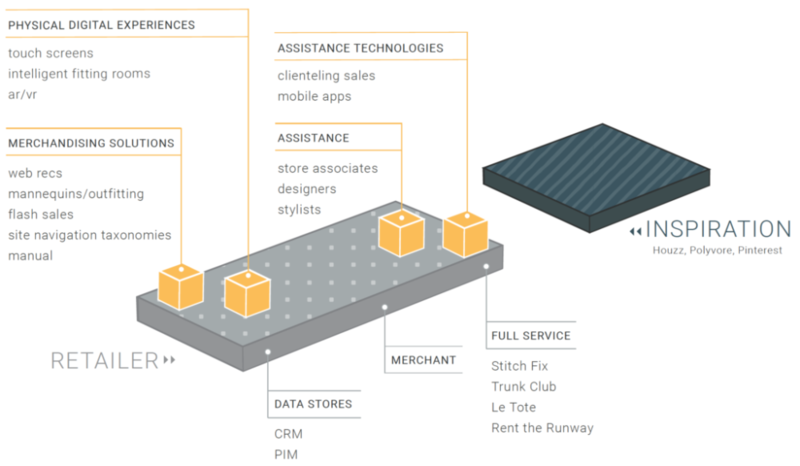 How does Shoptelligence fit in? 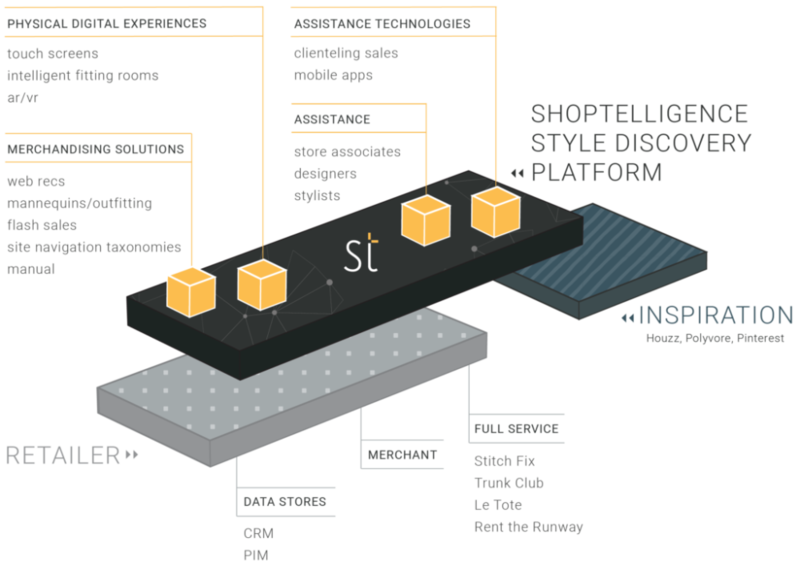 Shoptelligence, as a Style Discovery Platform, bridges the gap and delivers style inspiration integrated with shopping in all retail channels. What if shopping could be a playground of discovery – a fun way to pull together the perfect work outfit or inspire an effortless living room ensemble? What if shopping could get more intelligent the more a customer engages with it? What if shopping could help identify a customer’s unique style and make them feel like the best version of themselves?